First and foremost, thank goodness for the occasional light-hearted project like this one with which to leaven everything else. I was dared to construct a wax seal larger than my usual 1 in. diameter. I decided that this meant I had to make one in excess of 4 in. With so much more surface area than usual, and a self-appointed task to design a seal for a classmate, I decided to ask my other classmates for suggestions. I recommend against seals of this size. Making the seal matrix is absolutely possible. What gets exponentially more troublesome is melting a sufficient quantity of wax. The truly obnoxious part is how much more the temperature of the outside and center areas of the resulting puddle differ in temperature. Wildly different temperatures means that you are much less likely to get a clean impression of the entire thing. I kept none of the molds or intermediate steps in making this seal. After all, uniqueness is nearly the entire point of personal seals. One of my correspondents informed me that our classmate likes to do crossword puzzles. It grew into a conversation about how this individual is both smart and humble (in the everyman sort of way). 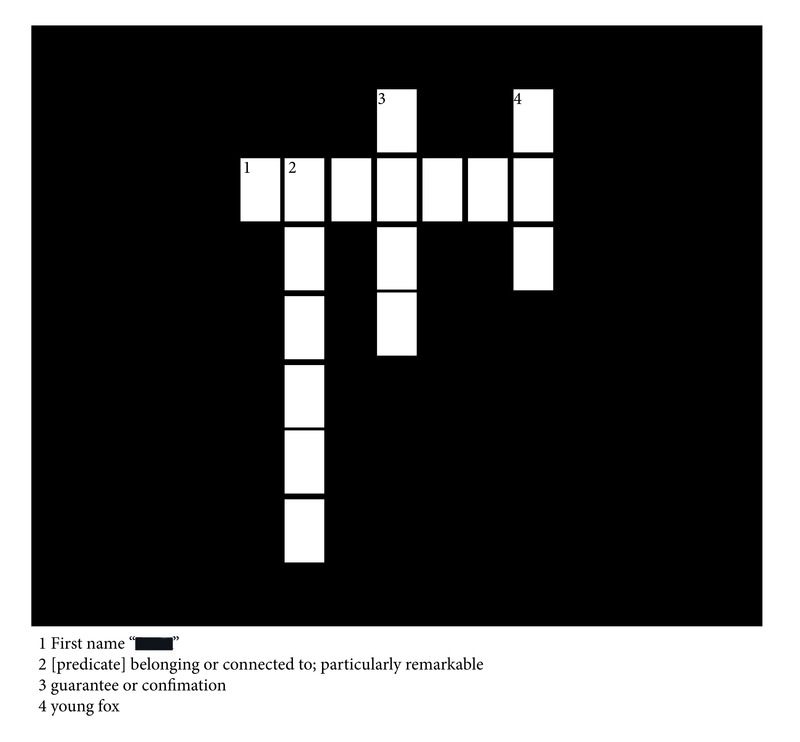 Constructing a 3D crossword-based seal design didn’t go well, but this absurdly simple crossword was how I chose to label the gift box. The duct tape is meant to mitigate the raised pinkie aspect of the entire project. Then again, duct tape is simply and truly an excellent art medium. Why apologize for using it here? 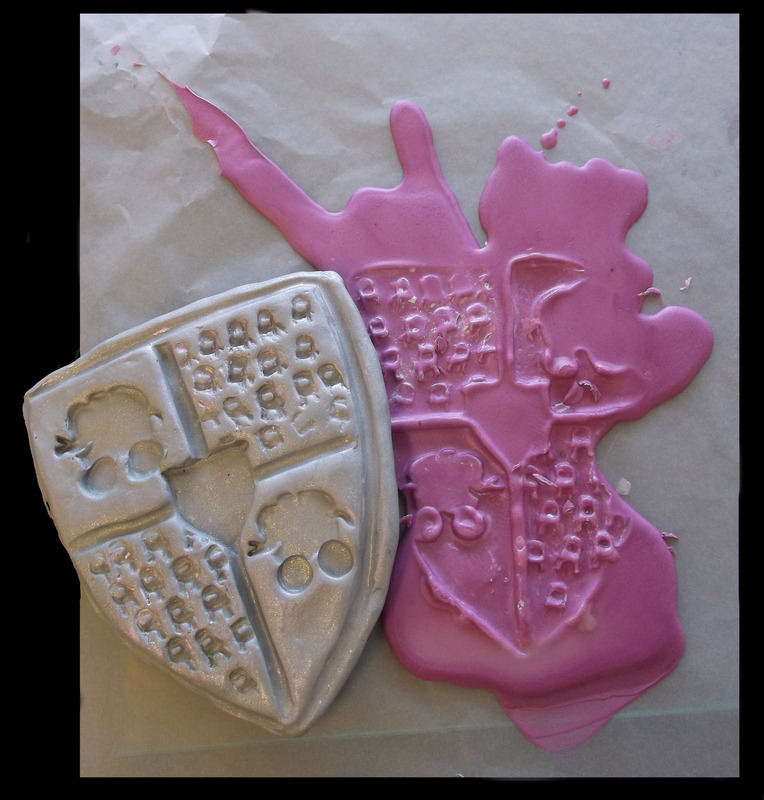 I found this site on heraldry fascinating. I particularly enjoyed the nerdy bits about blatantly fake coats of arms. (The blatancy would only be obvious to people who are really into this stuff.) Obviously I used almost none of this. I’m not interested in actual forgery. I just wanted a little of the flavor for humorous effect. Now I feel like rereading Feet of Clay, in which Sir Terry Pratchett satirizes this whole heraldic tradition, its bad puns, and especially rebuses. Previous Post Previous post:What (besides the obvious) do you gain from copying?